Norwegian is the only official language of Norway, and 95% of the population speak it as their native language. There are about 5 million Norwegian speakers in the world found most often in the US, UK or other Scandinavian. Norwegian, along with Danish and Swedish, form part of the North Germanic dialect continuum. This also includes Icelandic and Finnish, but Norwegian, Swedish, and Danish are close enough to each other on the continuum that they share a great amount of mutual intelligibility. Why do you need Norwegian Translation? 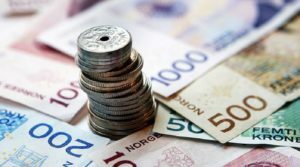 Norway boasts a very strong economy, coming in second in GDP of all European countries and has the 6th strongest economy in the world. Norway is a big exporter of both petroleum and natural gas, with strong food processing, shipbuilding, and timber industries. Within Norway, there are many regional dialects spoken and two official written forms of the language, Bokmål and Nynorsk. Two more unofficial written forms exist as well, Riksmål and Høgnorsk. This variation in dialects makes it important to have translation services that are specific to the region, and culture, you are targeting. At Alpha Omega Translations we have Norwegian translators who work exclusively with their particular native dialect of the language to ensure your translation make sense for the culture. Get Started with Norwegian translation services today!